Delving into the world of online marketing can be very confusing and overwhelming, especially considering all of the different services available. There’s SEO, Social Media Marketing, Email Marketing, Video Marketing, Search Engine Marketing (or pay-per-click) and much more. Knowing which of these methods to utilize, and how to operate or manage them, is a difficult undertaking for almost every business. Start-Up Packs are a straightforward and easy to understand way to get started. These packages were designed to simplify the process of getting started in the world of online marketing and establishing your online presence. Businesses will know exactly what services they receive for their money and will be able to easily measure their return on investment. These packages do not require any long term contracts, and customers will not be put in the position of making decisions regarding any purchase that is unclear or difficult to understand. Social media has quickly become an essential part of almost every small business marketing plan. As is the standard in other forms of marketing, it is imperative that your branding is consistent across your social media marketing platforms as well. And of course, with so many different social sites out there, it isn’t easy. Each requires images of different sizes and varying quality. It’s important to make sure that your brand is presented clearly and consistently, no matter what social media platform you use to attract customers to your business. This is why we’ve created our Social Media Branding Packages! 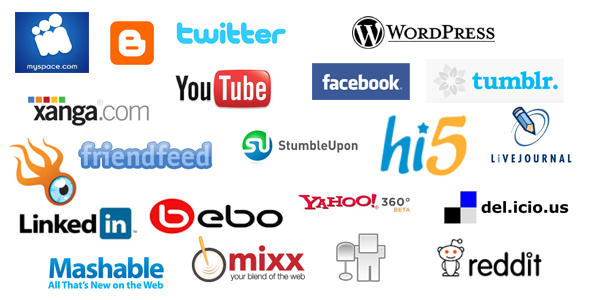 These packages include professionally designed graphics which are customized for each social site’s requirements. We even offer packages that include setting up the social accounts for businesses, optimizing them, and getting the different platforms ready to start working for you. Managing your social media accounts is a time consuming and sometimes frustrating task. Many businesses have tried to use social media as a business building tool, and simply haven’t seen considerable results. It just isn’t sufficient to create the account and set it on auto-pilot. Rather, it needs to be strategically managed, attractive and active, as well as uniquely compelling. A Social Blast is a way for businesses to provide quality information on their social media platforms, as well as by email. These are specially tailored articles, posts and offers that are designed to increase the number of subscribers a business has and generate more leads. And the best part, we do it all for you!